Most people are aware that beverages can contain a lot of sneaky kilojoules that make weight-loss harder however; you may not realize fruit juice is not always the healthier option. 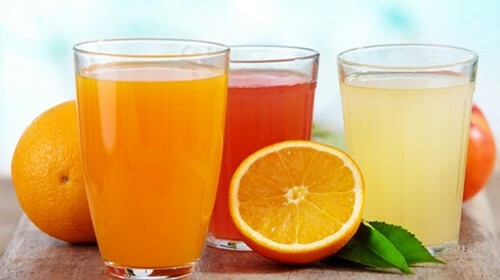 While fruit juice can give you valuable nutrients, most contain high amounts of natural sugar (fructose) making their energy content similar to that of soft drink. Furthermore, juice provides only a small amount of fibre (makes you feel full and keeps your bowels healthy) compared to the whole fruit which contains much more. So while the Australian Guide to Healthy Eating considers fruit juice part of the fruit group (therefore considered a serving) you should limit your intake to 125mL (1/2 glass) per day and always avoid the super-sizes at juice bars. And of course, if you are thirsty always choose water (zero calories) as some fruit smoothies can contain the equivalent energy content as an entire meal!